You've invested in a lush, thriving lawn, and your grass looks as vibrant as ever. But unless you have the time to constantly water your property, your lawn may not continue to thrive. Fortunately, Madrid Landscaping Inc., located in Nassau County NY, can help. Our sprinkler systems offer the convenience of lawn maintenance without you ever having to pick up a hose. Watering your grass week after week can be physically draining, and if you're like many people, you'd probably rather spend your time doing something more leisurely. A sprinkler system from Madrid Landscaping Inc. can help alleviate the burden of lawn maintenance, and when you work with us (whether you are in Nassau or Suffolk County), you'll have plenty of options from which to choose. 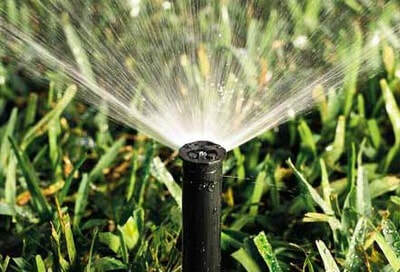 Preserve your lawn and increase the value of your home with a sprinkler system from Madrid Landscaping Inc. Contact us for more information about the products we offer or to request an estimate for your Long Island NY property. A professionally installed sprinkler system does more than just save you the hassle of watering your yard or garden manually. Especially when living in Nassau and Suffolk County, Long Island were the weather can become harsh at points. It can also save you money on your water bills and add value to your home or business. At Madrid Landscaping Inc., located Nassau County, NY, we specialize in irrigation systems, and we're dedicated to creating long-term relationships with our clients through hard work and affordable service. So whether you need an irrigation system for your small Long Island home garden or a large golf course, we have the training and expertise to install a solution that works for you. For more information or to set up an estimate, call Madrid Landscaping Inc. today.